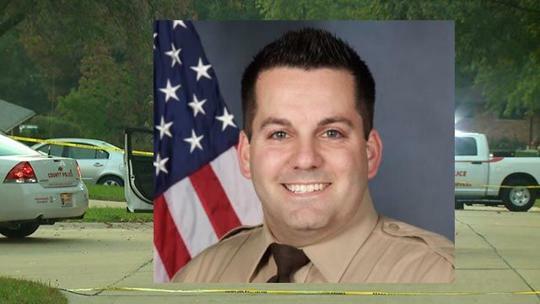 Last Friday a jury in St. Louis County, MO found the cold-blooded killer of St. Louis County police officer Blake Snyder guilty of first degree murder. Snyder was answering a disturbance call in October, 2016 when he was shot and killed by weak minded troll. The jury was out long enough to have a coffee and hit the john. Officer Snyder’s wife, Elizabeth, was escorted out of the proceedings past the officers from all precincts and units. 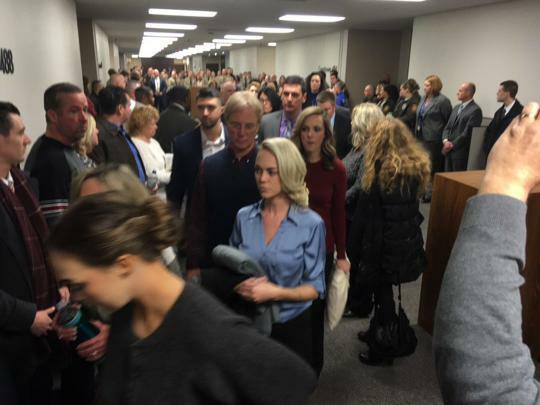 The courtroom and hallways were packed with hundreds of uniformed cops and police supporters. Elizabeth Snyder leaving the St. Louis County Courthouse after her husband’s killer was found guilty. The St. Louis County Police Department has never stood so tall as on that Friday afternoon when justice was finally dispensed for a brave and caring husband, father and police officer, Blake Snyder.